We have one of the orange/yellow/red. Calling all Daredevils! 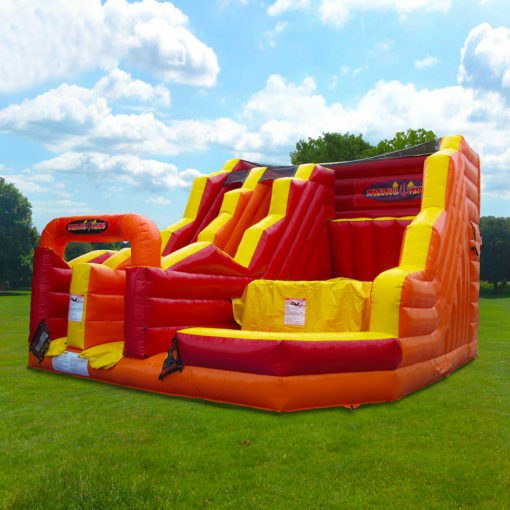 Daredevil island is an ascending obstacle course, slide with Free-Fall jumping platform combination unit designed to look like a rocky island.